Akira Kurosawa's Rashomon is widely recognised as the film that introduced western audiences to Japanese cinema, and in June we will have the opportunity to enjoy that film once again on the big screen, as it will be screened in an extended run at the NFT. It is part of Kurosawa & His Influence, a season of films celebrating one of the most influential filmmakers in the history of cinema. 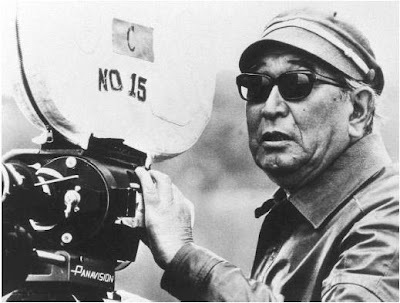 Some of his greatest works will be shown, including Ikiru, Seven Samurai, Throne of Blood and Red Beard (frustratingly, there is no Ran, which I would love to see in a cinema), and there is also the chance to see how he made his mark on subsequent films, with pictures like The Virgin Spring, The Wind and the Lion and Last Man Standing taking their place alongside his own oeuvre. The NFT will also be honouring Grace Kelly in June in a season that complements the Grace Kelly: Style Icon exhibition currently on display at the V&A museum, while Ray Harryhausen will be in town to celebrate his 90th birthday. John Landis will be hosting a BAFTA tribute evening to the legendary artist, while Harryhausen himself will introduce screenings of his own Jason and the Argonauts, and his favourite film King Kong. The Roxy Extraordinary Film Season lives up to its title with screenings of pictures like Sátántangó, Stalker, Straw Dogs and El Topo, many of which will have the added bonus of introductions, live musical performances and discussion events. If those films aren't extraordinary enough for you, then head down to the Barbican for their Surreal Film House season, which includes the work of David Lynch, Luis Buñuel, Jean Cocteau and Hans Richter. The Barbican will also be celebrating the work of another director with a taste for the surreal, screening a number of Terry Gilliam films in their Directorspective, and Brazilian cinema will be highlighted at the end of the month with 10 films on show, many of which will be followed by director Q&A sessions. Finally, away from cinema, I'd like to draw your attention to LIFT 2010, an international theatre festival that will run from June 23rd and throughout July. In particular, I'd like to highlight Hotel Medea, a six-hour interactive play performed by the amazing Zecora Ura group. Don't be put off by the fact that the performance begins at midnight and ends at dawn, because I attended the play when they staged it at the Arcola Theatre last year, not really knowing what I was letting myself in for, and it turned out to be one of the most extraordinary theatrical experiences I've ever had. Be bold and take a chance on this one. You won't regret it. If you know of any upcoming film events that you'd like me to include in future articles, please let me know at philipconcannon@googlemail.com.